If you are looking for delicious and chewy pumpkin cookies that are not cakey, I’ve got a great recipe for you! 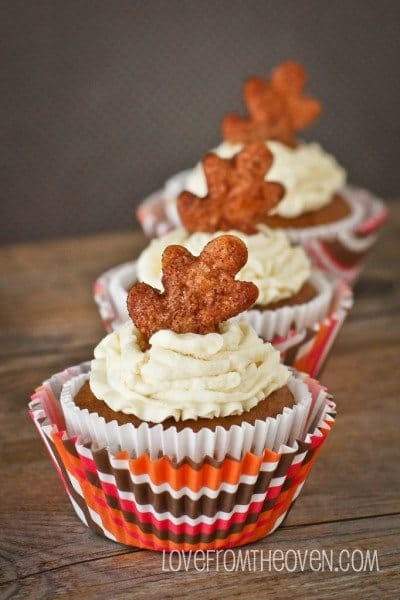 While I love pumpkin and I love cookies, often pumpkin cookies turn out fairly cakey. Pumpkin has a lot of moisture in it, so this isn’t surprising, but I’m always trying to make a pumpkin cookie that is not cakey. 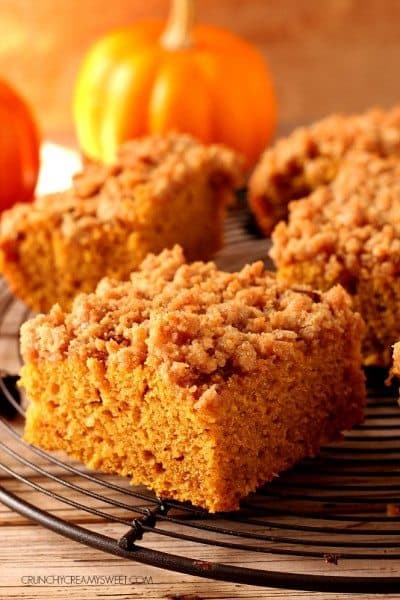 Sometimes I want a pumpkin cookie that is chewy, maybe with some crunch and crispiness to it even. After years of trying, I’ve finally figured out recipe for pumpkin cookies that aren’t cakey. 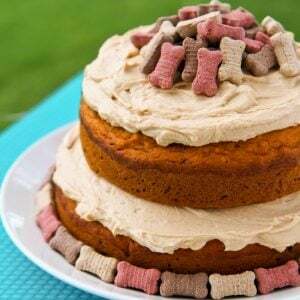 While sometimes cakey pumpkins cookies might be exactly what you want, this recipe is great for the times you want a chewy pumpkin cookie that isn’t cakey. 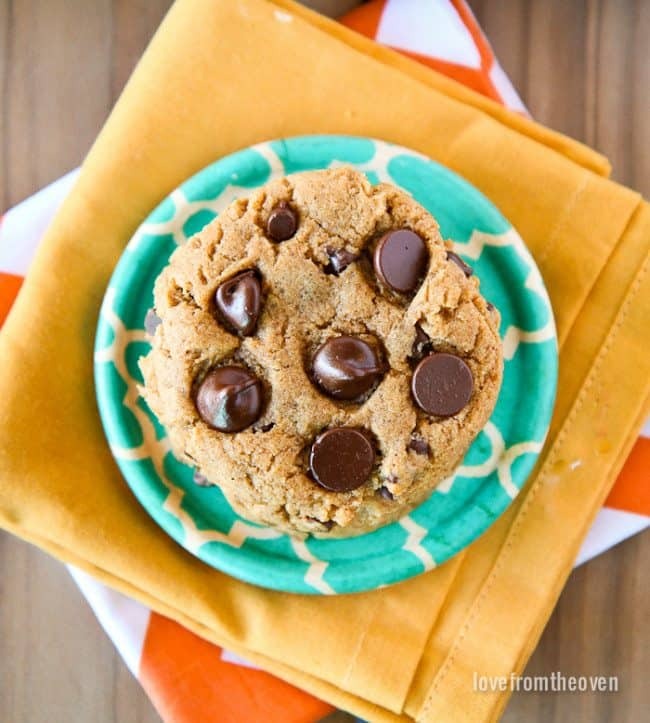 These pumpkin chocolate chip cookies are pretty darn spectacular. 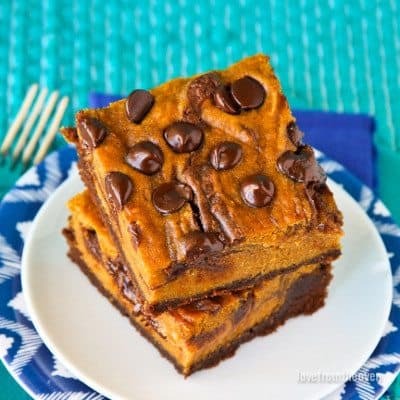 They have all the features of a great chocolate chip cookie, lots of chocolate, a chewy center, and slightly crunchy edges, but they also have pumpkin. 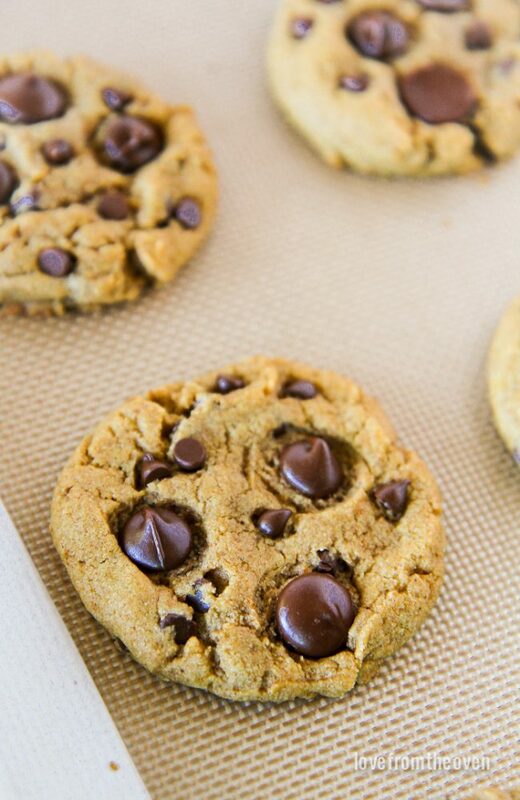 A perfect fall chocolate chip cookie. Yay! 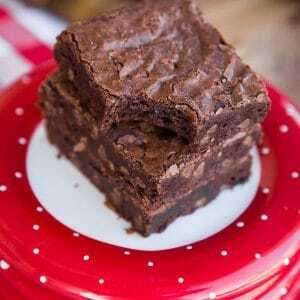 I combined a few different different tricks to get these to be more chewy than cakey. 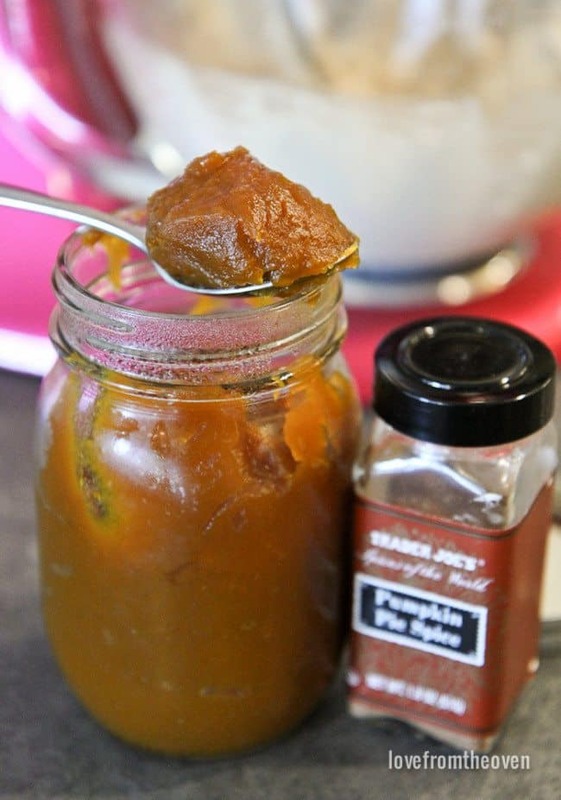 One of the biggest differences is that I traded straight pumpkin for pumpkin butter (which is super easy to make yourself, you basically are just reducing the pumpkin down with some brown sugar and cooking out a lot of the moisture). I’ve also left the eggs out of this recipe, as well as used some whole wheat flour. 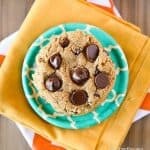 The combo of these simple tweaks really created some cookies that I am really happy with, and all of my friends and family who have tried them have raved about them. Mission accomplished! 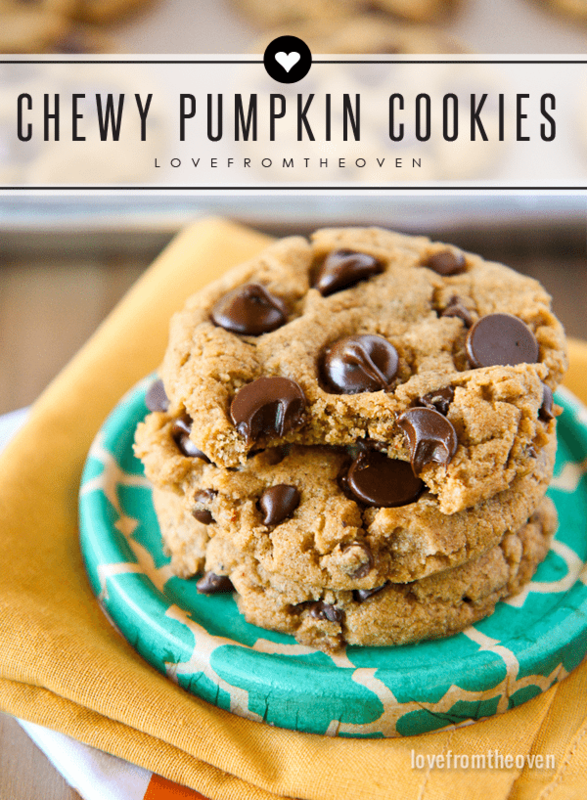 I can’t wait for you to try these delicious chewy pumpkin cookies! 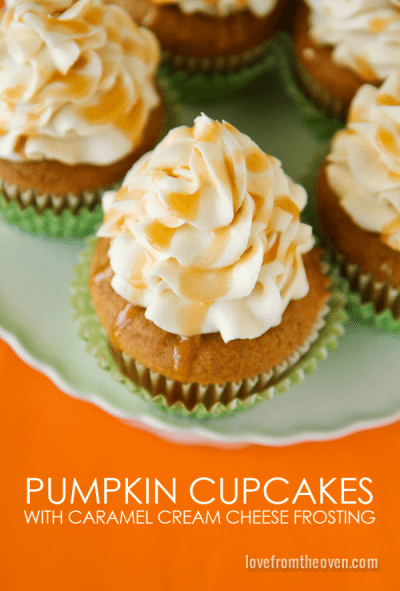 These are perfect for fall and great for parties, get togethers, or just an after school sweet treat. In a large bowl, beat butter until light and creamy. Add sugars and beat until well combined. Mix in pumpkin and vanilla and beat until well combined. In a separate bowl, combine flours, baking soda, salt and spices. 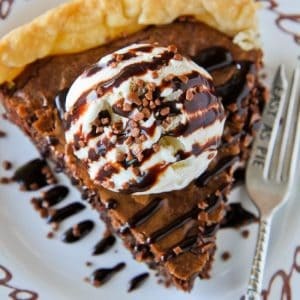 Add dry ingredients, and chocolate chips, to wet ingredients, and mix until just combined. Cover bowl tightly and place in the refrigerator to chill for 30 to 60 minutes. Scoop cookie dough using a cookie scoop onto a baking sheet lined with a silicone baking mat. 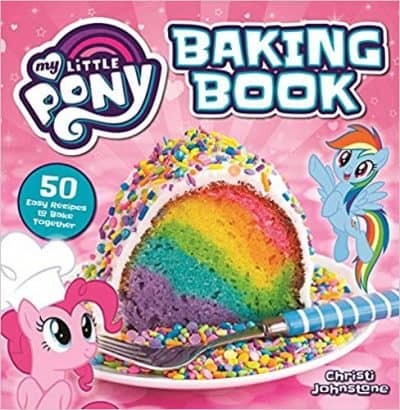 Bake for approximately 8-9 minutes. They will be slightly underbaked when you remove them from the oven. Allow to cool completely on the pan before removing with a spatula. Store in an airtight container. 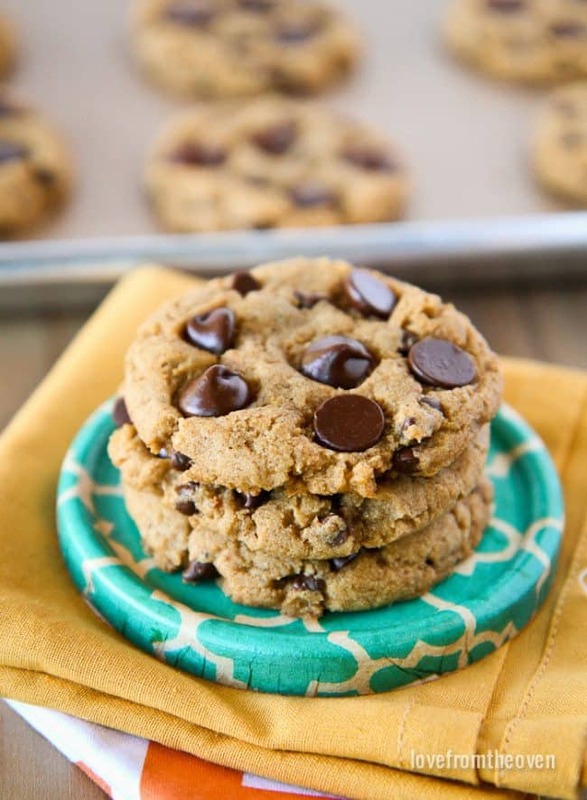 *Tip - to keep cookies moist and soft, store them with a piece of white sandwich bread in their container! 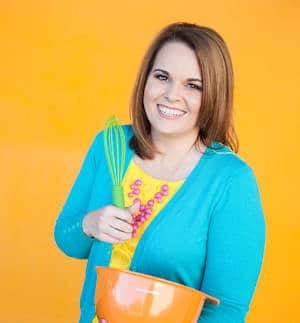 I hope that your family enjoys these delicious chewy pumpkin cookies that aren’t cakey. 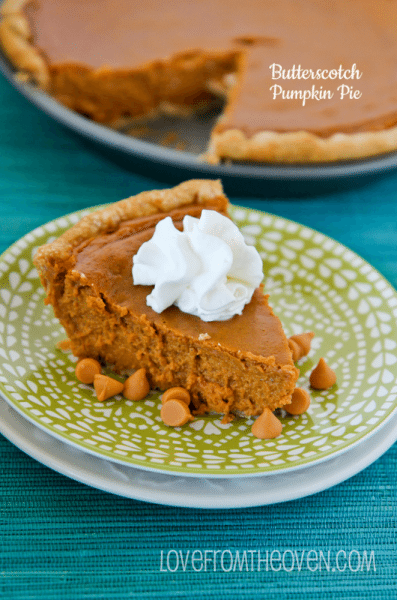 If you are looking for more delicious pumpkin dessert recipes, here are some tasty options for you to try! 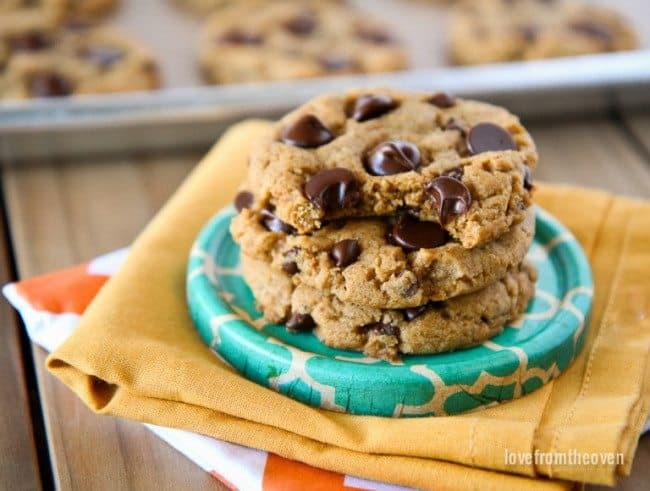 Love pumpkin + chocolate chip cookies so this is definitely a fave! I’m with you! I don’t like those pumpkin cookies that stick to the roof of your mouth! 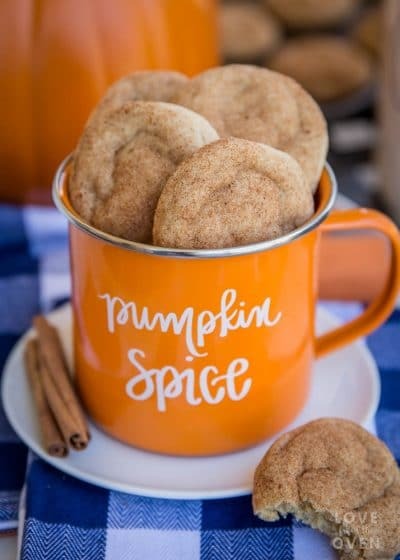 I have been waiting for the perfect pumpkin cookie recipe, and I think this is it! Can it be?! Really? Truly? 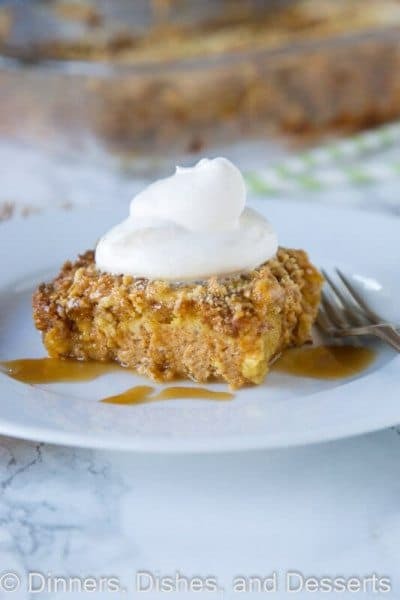 A non-cakey pumpkin cookie? I’d stopped trying. So glad that someone with more perseverance figured it out! 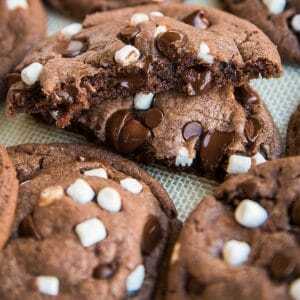 I am totally craving these cookies right now! 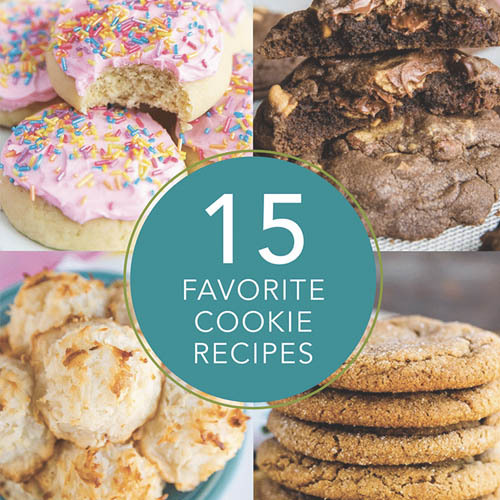 My Hubby will love them too since they are chewy and he is not a fan of cakey cookies. 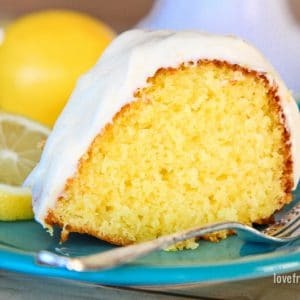 I am so excited to make them! Swoon! 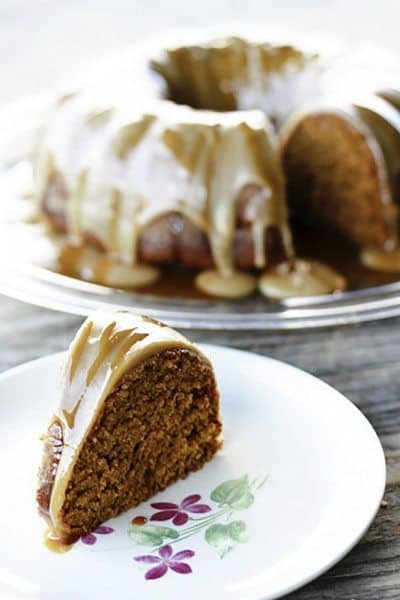 I LOVE that you used pumpkin butter in the dough! 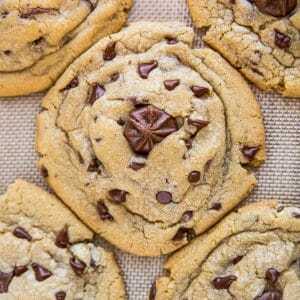 Making these cookies asap!